MedPro Connect is dedicated to helping people regain control of their personal lives by providing professional, discreet, and timely Medical Testing Services. During times of personal uncertainty, knowing is the key to regaining control - and we're here to help you. Through a comprehensive network of the nation's leading medical laboratories, we provide thousands of different medical testing services - with specific focus on DNA/Paternity Testing, STD Testing, General Wellness Testing, and Drug/Alcohol Testing. Our goal is to bring the laboratory closer to you. Our professional Medical Testing and Risk Assessment services are designed to get answers today. 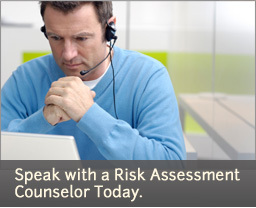 Experienced counselors will help you determine which testing solutions are right for you and will assist you to locate the closest service center for fast, convenient, and confidential service. Give us a call, we're here to help.